Sales ★ Installation ★ Service Since 1998! Basement Windows of Denver by Kruse Construction has been installing code compliant basement / egress windows since 1998. Kruse Construction, LLC maintains a Class C construction license in every municipality where work is performed. We are also properly insured and all of our egress window installations are approved with stamped drawings from a structural Professional Engineer (PE) as required by the building department. When dealing with the foundation of your home, it is imperative that you hire someone who has the proper credentials and the experience to back them up. Egress window installation can prove to be difficult, dangerous and messy work, but our experienced and trained professionals make it look effortless. Turning your small basement window into an egress window is not only imperative to provide a safety exit and increase the value of your home, it enhances curb appeal and the overall look of your home, inside and out! The larger windows allow light to pour in your basement, giving it an airy, wide open feel. Not only that, but with Kruse Construction, you don’t just have an egress window, you have an egress window tailor made for your home and your personal taste. Special steps are taken with all our Denver Egress Window Wells Services to ensure your egress window looks natural, and stands out for all of the right reasons! With a master trim carpenter and a designer on board we offer custom windows unlike any other company serving the Denver Metro area. Best of all, we make it easy on you! We will walk you through every step of the process so you know what to expect, when your project will begin, when we will be finished and we guarantee that our work space will be left as clean, if not cleaner than we found it. We take pride in our superior customer service and quality workmanship, and you receive first class treatment from the very first phone call. Basement Windows of Denver offers many egress window options and window well covers for your specific needs. Many different options are available from window frame color to window well design. Call us today for an initial phone estimate and schedule your free on-site consultation. Basement Windows of Denver also specializes in window well replacements, also called window well exchanges. Our experienced crew will walk you through the process, step by step and explain to you exactly why you existing well is rusting and what we do to prevent this from happening again. For your convenience, we can provide a bid and a formal proposal via email. Upgrade or replace your small basement windows. Visit our egress window well photographs gallery. When are homeowners required to have an egress window according to building codes? It is important to remember that any living space that is large enough to be used as a bedroom and has a closet must have an egress window according to modern building codes. Additional basement living spaces must have two escape routes one of which must be an egress window. 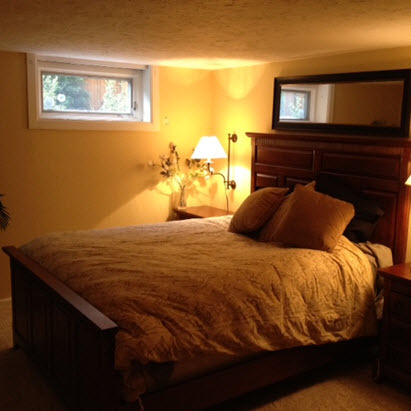 This can be accomplished by joining a bedroom with an egress window to a common living space. No matter who you choose to complete your basement egress window installation be sure that they plan and complete the municipal permit application process, as any major structural changes to your home foundation should be inspected by the city or county inspectors. 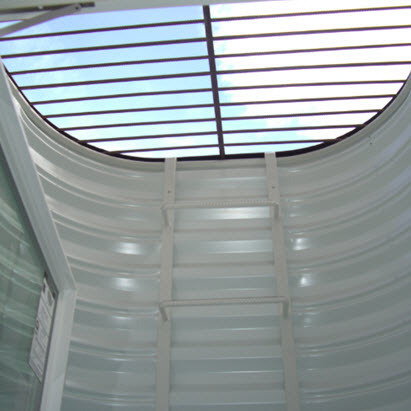 For more useful information here are some egress window frequently asked questions. Learn about our egress window project management steps and process guide. Denver, CO & Front Range – Basement Windows Installation and Egress Window Wells by Kruse Construction LLC. ★ Our company has been installing code compliant basement / egress windows since 1998. ★ Kruse Construction, LLC or Basement Windows of Denver maintains a Class C construction license along with $1,000,000/$2,000,000 in insurance coverage. 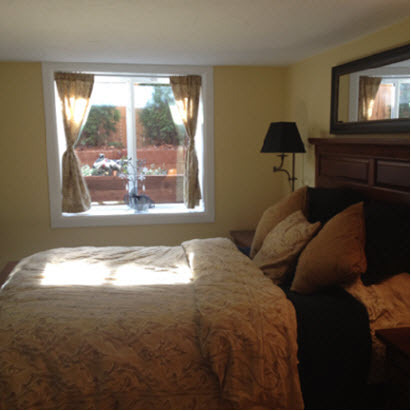 Basement Windows of Denver Reviews and Testimonials from satisfied Colorado customers. Read Google Reviews here or see additional satisfied client testimonials. 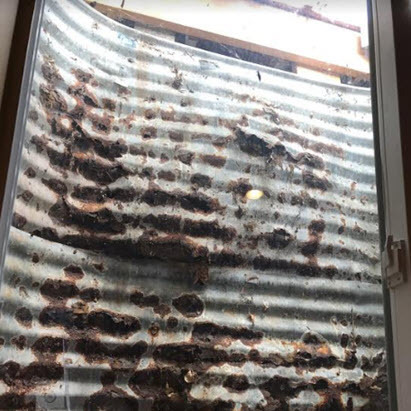 Was very pleased with the job they did on our window well. They were quick and did an excellent job with installation and clean up. Justin, the owner, came out to make sure the job was done to his satisfaction. I don’t know of too many owners who take the time to check their employee’s work. Can’t say enough good stuff about Justin and his crew. They hand-dug out 2 escape windows for house in Arvada (packed clay). The windows are beautiful! Crew was diligent, arriving early, working late. They put down boards on the grass on which to pile the dirt, so the grass was not impacted, and 2 days after work you can’t tell they were even there. Justin helped out with the inspections, and everything sailed through without a hitch. If I were keeping the house I’d have them put in more windows in the great room. Definitely one of the best decisions ever to hire Justin for this job! Recently had Kruse replace an old leaking window well. Lisa was very responsive in quoting the job / handling the scheduling logistics and Justin + crew were very friendly and efficient. I was even lucky enough they were nearby the day I called and I was able to get same day service. Such a terrific local business!